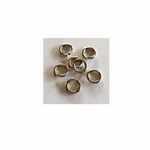 A new color of Snapeez: Gray Matte Velvet. The picture shows the comparison between shiny silver and gray matte velvet. 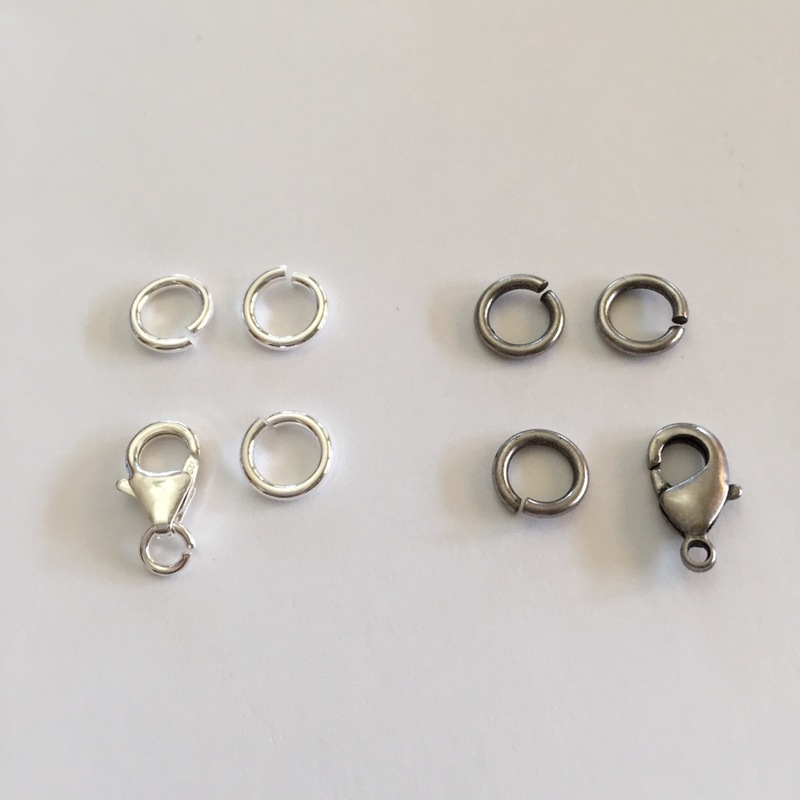 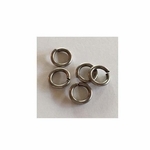 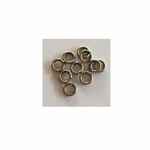 The Gray Velvet Matte Snapeez snapping jump rings are oxidized and will vary from lot to lot - some are lighter that what is shown on this picture. 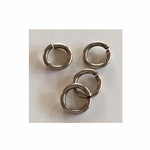 They are a good complement to stainless steel, gun metal and oxidized & antique silver. 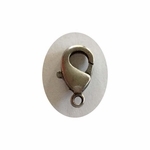 We are carrying them in 4mm, 6mm, 8mm & 10mm and we also have the matching 11mm DuroPlate Lobster Clasps.